Hello! We're the world's first Platinum Partner of Xero and we'd like you to meet Sidekick. 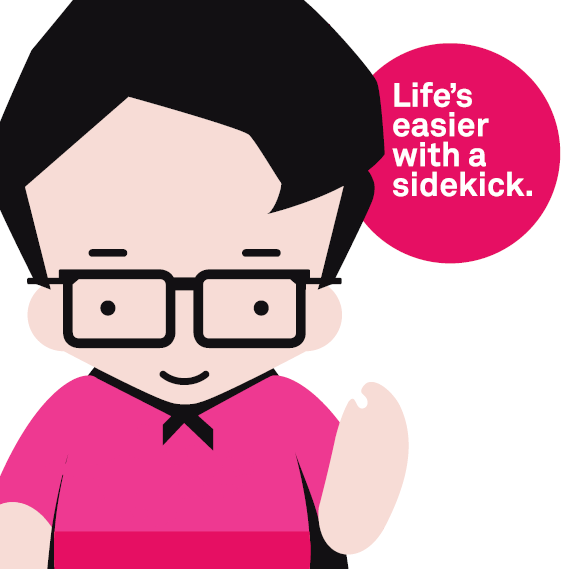 Sidekick is our fixed fee monthly accounting service that is specifically designed for Xero users. Your Sidekick Accountant becomes your advisor, wing-man and all round good guy. They'll let you get back to being the Superhero of your business because life is just so much easier with a Sidekick. Like Xero, we have a rather innovative approach and aim at bringing a breath of fresh air into accounting. We are a friendly bunch committed to offering a proactive, interactive and understandable accounting service to business owners. Clients of Sidekick Auckland City Limited connect to a range of banks via Xero. Sidekick Auckland City Limited specialises in working with some of those banks; they can help with setting up bank feeds, and are knowledgeable about accessing bank loans and streamlining payments through Xero. Sidekick Auckland City Limited works with businesses across a range of industries. They specialise in helping to choose apps that integrate with Xero to boost business performance for some of those industries. Sidekick Auckland City Limited serves clients who use 22 different apps that connect and integrate with Xero. Xero is beautiful online accounting software for smaller businesses. Sidekick Auckland City Limited can help make your switch as smooth as possible.